I just bought the best cookbook. 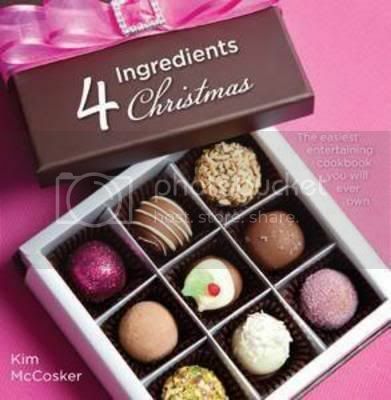 It's the 4 Ingredients Christmas cookbook. It has so many yummy looking and easy to make dishes, that can actually be cooked all year round and every recipe has just 4 ingredients! Unlike the other 4 ingredients books, this one has pictures and it's a larger size. There are so many yummy things in it. and many more nibbles, mains, side dishes. There are also a number of cocktails and other Christmas drinks.